Sometimes, the thought of orthodontic procedures can be daunting and many people don’t like the idea of others seeing their teeth straightening in process. That’s where invisible braces come in to play. Invisible braces allow you to have teeth straightening procedures performed without anyone knowing. They also help you retain your confidence and they mean you don’t have to feel self-conscious about smiling during your treatment. What Types of Invisible Braces are there? Each of these invisible braces offer their own individual tooth straightening methods, and you will be able to discuss treatment options with your orthodontist during your consultation. How Much Does it Cost to Get Invisible Braces? The price of invisible braces depends on the type of braces you’re considering. Invisalign braces typically cost anywhere between £2,500 – £6,000 depending on each patient’s individual requirements. 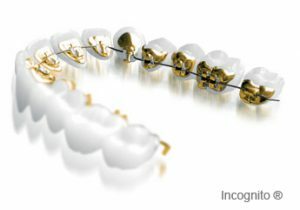 Lingual braces range between £2,000 – £3,000 for simple cases, and anywhere between £5,000 – £10,000 for complex cases. Ceramic braces, although similar to fixed braces, will cost slightly more due to their transparent design. Costs vary depending on individual patient requirements but you can expect to pay anywhere from £4,000 to £8,000 again, depending on each patient’s individual needs. The above price guides are just average estimates. Each invisible braces treatment will vary in cost depending on the patient’s individual requirements. For a bespoke quotation on your invisible braces, you will need to book a consultation with our resident orthodontist, Dr Iain Hoeltschi. The consultation is completely free of charge and you are not obligated to go through with the treatment if you have a change of heart. Although lingual braces are positioned behind your teeth, they work in exactly the same way as fixed braces. The reason why lingual braces are becoming more popular is simply because they’re considered ‘invisible braces’. Lingual braces still use metal wires and adjustable brackets to slowly shift your teeth into position, they’re just discretely placed on the back of your teeth to give the illusion they’re invisible braces. Invisalign is currently the most popular invisible braces option, for several reasons. It’s the most discrete invisible braces treatment, the aligners are removable, easily maintainable and they’re require the least maintenance. Invisalign works by steadily straightening your teeth using two invisible aligners. Each aligner is worn for about two weeks before being replaced by the next series of aligners until the final position is achieved. Each aligner (or tray) is designed slightly different to the previous, usually moving your teeth approximately 0.25mm per tray. The aligners must be worn for 22 hours every day to achieve their results, but you can remove them anytime, so eating, brushing and flossing your teeth won’t be a problem. Invisalign is effective at correcting a variety of orthodontic issues and can be as effective as fixed braces if the molds are designed correctly. Occasionally, all patients require is a quick fix and Invisalign can offer this – straightening a crooked front tooth in as little as three months, for example. However, for more complex cases, the process can take anywhere between eight months to two years, depending on the severity of the patient’s case. Ceramic braces work in a similar way to traditional fixed braces. Ceramic brackets are made of a similar plastic or ceramic material used in fixed braces, the only major difference being ceramic braces tend to use transparent or clear brackets. This type of invisible brace still uses wiring to hold the brackets in place, so they’re aren’t completely transparent but they’re still far more discrete than traditional fixed braces. In regards to treatment differences between ceramic braces and fixed braces – there is none. It’s simply a matter of aesthetics, one is classified as an invisible brace, the other isn’t. Which Invisible Braces do I Choose? All invisible braces have the ability to help straighten your teeth, it’s ultimately up to you and the discretion of your orthodontist as to what invisible braces you select. Invisalign is currently the most popular invisible braces option in the industry because of their discrete, transparent design the removable aligners. Dr Iain Hoeltschi has extensive experience with Invisalign and is able to treat even the most complex cases using Invisalign. Invisalign is also the most popular invisible brace choice for teenagers, as many who are considering invisible braces are looking for ways to hide or conceal their appearance and Invisalign seems to be the strongest option. Our team are dedicated to ensuring you receive the best customer care and treatment possible. Dr Iain Hoeltschi specialises in invisible braces, particularly Invisalign, and will be able to guide you on the right treatment path for you. All our patients are given free choice over their invisible braces choice. 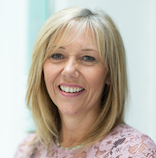 However Dr Hoeltschi will be on-hand to offer his expert advice if he feels you may benefit from a different invisible braces treatment to the one you’ve chosen. We treat children and adults alike, there is no age gap when it comes to invisible braces. Our treatments have helped patients regain their confidence and dramatically improve their oral health. We understand that prior to orthodontic treatment, you may have a few questions. That’s why we recommend you book a no-obligation, free consultation with our experienced team and Dr Hoeltschi to talk through expectations and what invisible braces treatment would best suit your needs. Get in touch with our team today to learn more about our invisible braces treatments and how we can help you achieve your expectations. Please do not hesitate to get in touch via our contact form or call us today.